Orrville Red Rider Sports Blog: It's Great to be a Red Rider, isn't it? Boys are now back in the district final for the 2nd straight year, and while last year was certainly something dreams are made of, this year is special in it's own way, just because only a week ago, it seemed pretty unlikely. Put aside your Red Rider colored glasses for just a second and be honest....did you expect this team to be where they sit right now? Now I know we all believe in our Red Riders, but things just weren't looking good for a while this season. I wouldn't fault anyone for expressing some uncertainty....but sure am glad they're peaking now. Yeah, I picked us to win, and I believed it, but it was all dependent on us playing up to our ability and that's the thing I hadn't seen all year. The "want" was there, the pride and passion was there, but things just weren't clicking. I thought we'd win two for sure and everything after that would be a tossup. Well, we won two, and won the first tossup game. The shot of confidence (and a 4-game winning streak) couldn't have come at a better time....but with this comes revised expectations. Looking at playing Triway (who we've already beat) or Wellinton (who has a losing record just like us), the pressure of getting back to Canton is now very real. That's how it goes I guess. They seem to be clicking in terms of rotations and kids making plays..hustle plays especially. It's not flawless execution by any means, but it's the scoreboard where it counts...and the Riders are 3-0 when it counts. The self-confidence the kids have is so evident in their body language and, of course, the way they're playing. Seems guys are peaking individually too. Has Drew Brenner, Stew Turner, Jordan Ray or Devon Winters played better at any point in the season? I'd say no, and if so, it hasn't been all at the same time as it is now. Drew is hustling and making those possession changing plays, Stew is creating chaos on defense and playing aggressively on offense, Jordan is running the point and knocking down clutch free throws and Devon is playing much more aggressively down low. Riders will face Triway Friday night at 7pm at Wooster High School. Winner will earn a spot in the regionals at the famed Canton Fieldhouse. Don't count on a venue change for this year's district final. I e-mailed Wooster AD Keri Hamsher who confirmed that the game will indeed be played at Wooster High School. Gates open at 6pm, tip off at 7pm. Get there before 6pm if you want a choice seat. He's now 9-1 in postseason games. Let that simmer for a second. He's won a career's worth of big tournament games in his first two years. Games that could've went either way. I count at least 4 of those wins last year (Hillsdale, Triway, CCC and Cols. Ready games), and at least one, if not two (counting the Tuslaw game) this year. I'm sure he'd deflect attention to his kids making big plays, but coaching has a hand in it, and anyone who knows their basketball, saw that last night. He and his staff never quit on these kids, and wouldn't let the kids quit on themselves, and that's to be commended. When I spoke to Coach after the Tuslaw win for OrrViews, he said Zach was playing the way an All-Ohioan should play....and he kept it up last night. Pouring in a game-high 27 points and 11 rebounds. Says plenty for Zach's ability that he was the focus of the Hillsdale defense and still scored as well as he did. Riders are 10-3 in the past four years when Zach scores 25 points or more. Feed him! By my count, he's now at 1,497 career points (430 on the season). If he can get to 475 points for the season, he'll join Kevin Summers, Ralph Winters and Tom Bolyard as the only three Red Riders with two seasons of 475 points or more. Congrats again to the Lady Riders on their big win over Manchester. Hoping (and expecting) a big crowd of red to make the drive to Cuyahoga Falls for their regional semifinal against Ursuline. Congrats to Coach Alberts for his milestone 500th (and 501st win). Let's get two more and take a shot at the final 4. If they win this Wednesday, they would play Saturday at 1:30pm for the regional title. By my count, sophomore Hannah Plybon has 485 points (20.2 ppg) on the season. 513 is the school record so she's close. But I don't think I'm reaching in saying that she'd trade them all for a trip to Columbus and a state title. This isn't my call, but if it were, I'd say a Code Red is in order for the girls game Thursday and the boys game Friday. Get out your best red gear and let's support both the girls and the boys teams. Last but not least, congrats to Sam Reusser on his 7th place finish at the state wrestling tournament. He finished the season as the OCC champ, district champ and on the podium at the state meet. Not too shabby. Congrats Sam. Sam Reusser is an All-Ohio Academic as well this year. Yea it's tonight (Wednesday)...fixed it. Thanks. Frankly, it IS great to be a Red Rider! 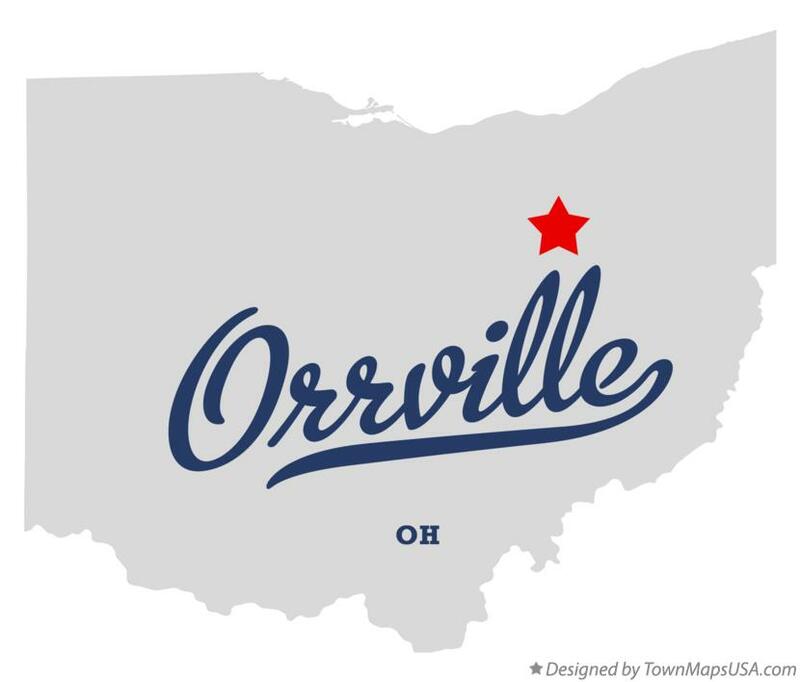 and great to be a Orrvillian...or is that Orrvillite? Think about it, is there a better place to live in Wayne County right now?? I think not! !